Remember all these pretties? Well today you have the chance to get some of them for yourself (or if you are in a giving mood your friends.moms.sisters.girlfriends.daughters...). JewelMint has graciously offered to gift one of you, my lovely readers, your choice of 3 pieces*. Think of the bits and baubles you could pick out. Maybe the perfect cocktail ring (or 3), or some bright drop earrings like these, or even this necklace that works for a day at the office and for nights out on the town. To enter, simply leave a comment below and if you'd like sign up for JewelMint and let me know which pieces you'd pick and what holiday fetes you'd be donning them for. The giveaway will close on December 13th, 2012 at 11:59pm EST. Giveaway/sweepstakes rules: No purchase or payment necessary. To enter, leave a comment below. Limit to one entry per person. Open to all United States residents above the age of 18. Giveaway starts on December 6, 2012 and ends on December 13, 2012 at 11:59pm EST. Sweepstakes prize is valued at $89.97 USD and includes the winner's choice of 3 jewelry items from JewelMint not including items from the JewelMint Collective. Selected pieces subject to availability. The odds or chances of winning do not increase by signing up for JewelMint or by entering multiple comments below and will be determined by the number of entrants. 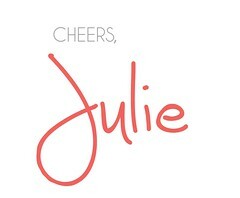 Winner will be chosen by December 17, 2012 via random.org and announced via Julip Made's Twitter account (@JulipMade). The winner will be contacted by JewelMint for prize selection. If the winner fails to claim their prize within two weeks of notification, another winner will be selected from eligible entries via random.org. By entering this sweepstakes, the entrant acknowledges that they are eligible for this sweepstakes according to all laws set forth by their home state. Julip Made and JewelMint are not responsible for ensuring entrant is eligible. Winner is liable for any taxes associated with the prize. Void where prohibited. 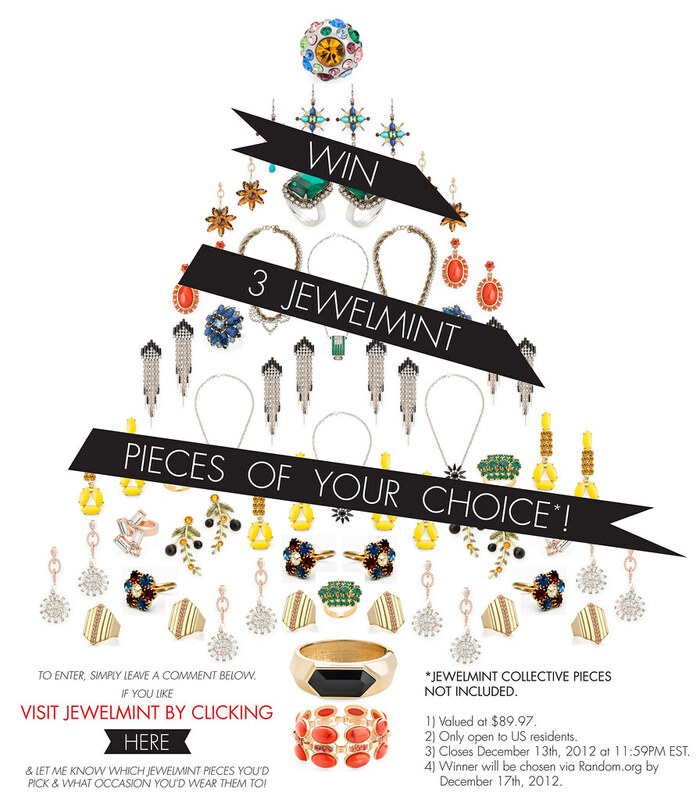 Sweepstakes sponsored by JewelMint. 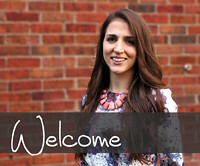 love love love the statement necklace! i would love a cocktail ring or statement necklace for a night out to a new restaurant! I need a new cocktail style ring for the holidays! I absolutely love the park avenue ring! thank you so much for sharing this! Oh gosh I would LOVE two new rings and a pair of earrings to wear to holiday parties. I'm so bad with accessories!!! Winning this contest would be amazing for me! Sign me up! I would love some bling! I like big, chunky necklaces in bright colors to wear with my solid reds and blacks for the holidays. A pair of nice, simple earrings to complete the look. I just graduated and every spare dollar that I have is going towards paying off my debt. I would be ecstatic to win something pretty without having to feel guilty about not saving that money! I love the treasure chest bracelet....I already have earrings that would match perfectly! I love the jazz age ring. It would be a perfect accessory to wear to a holiday party! A bit of jewels to spice up my somewhat lackluster holiday outfit roster would be kind of nice, I have to admit! Fun giveaway, lady! I love the timeless cuff, just beautiful! I have my eye on that blushing bouquet ring!